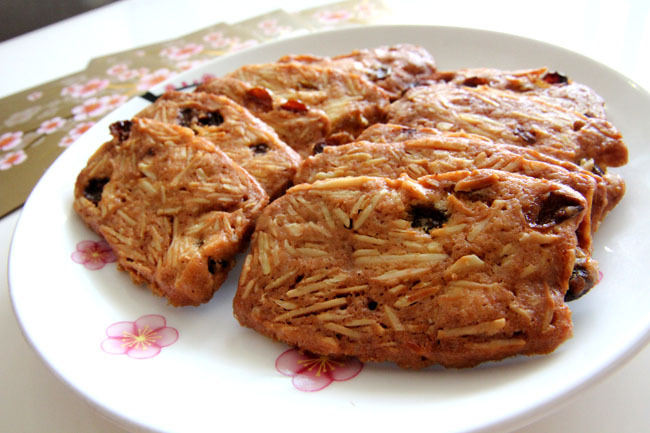 There are so many different varieties of Almond Cookies and biscuits, with the more popular ones coming from Hong Kong or Macau. Always crunchy, and sometimes crumbly, these have recently become the must-have Chinese New Year snack. Before I talk about the taste of this particular Almond Cookies, this bottle did not come to my door either from any PRs or my generous aunties. 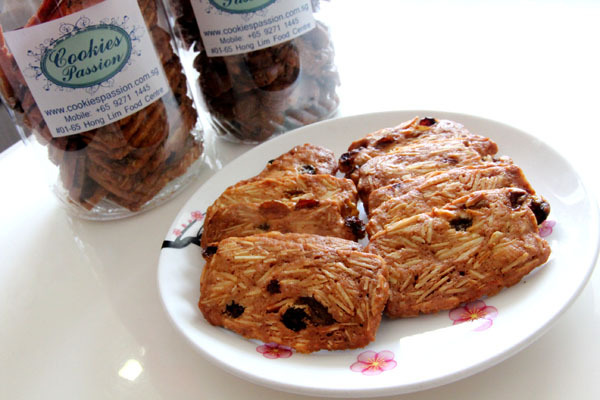 In fact, I was searching for Almond Cookies online and landed on this website of CookiesPassion.com.sg . They do have a facebook page, but well with 5 likes. Their physical store at Hong Lim was closed. In the end, I actually took a bus all the way to Blk 168 Toa Payoh and waited under the hot sun for a while before I got my cookie bottles. So why am I still writing about them? The only reason is because the cookies are unbelievably good! Cookies Passion started with a family’s love for baking, and word-of-mouth has made them one of the favourites among corporate clients and confectionaries. Other than their signature All Almond Cookies ($16.80) freshly baked with California almonds, their raisin almond, cranberry almond and molasses spice versions will certainly strike a chord with your guests. The rectangular-shaped and flat raisin almond cookies are just too hard to resist. The combination of the nuts and sweet-sour fruits make every bite remarkable, and feel like a more exquisite form of butter cookies. Try dunking the cookies into milk, and they will become an instant hit with the children. I hope Cookies Passion can find the right branding and marketing, because they deserve to be known.